Eating fruits is very essential to our bodies. They along vegetables are the main providers of vitamins and minerals. 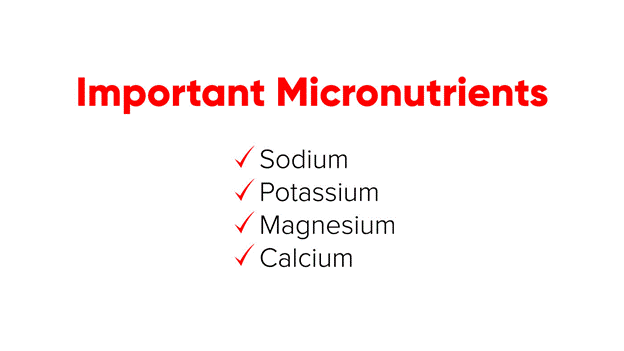 Consuming a variety of fruits supplies the body with a variety of these micronutrients as their availability and quantity varies across different fruits. Accordingly, the WHO recommends a consumption of more than five servings of fruits across most days of the week. Fruits can be consumed in different ways, the most common being eating the whole fruit. However, an increasingly popular method nowadays is to juice fruits. 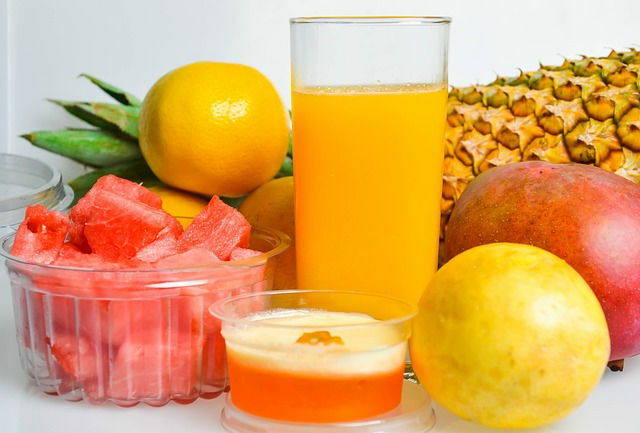 The fruits juices are extracted from the one fruit or mixed with those from other fruits. Often at times, the fruit juices are also mixed with vegetable juices for purposes of enriching or simply as a means of improving flavour. Such juices however seem to be mostly consumed for purposes of “detoxing”. Nevertheless, not all fruits are “juiceable” making this method only suitable for certain fruits. For those that can be juiced however, it’s important to consider the perishability of their juices, especially with regards to their nutrients. Fruits are very perishable especially when the flesh is exposed to air. This explains the swift colour change witnessed after peeling fruits like bananas or apple. This discolouration is as a result of a process called oxidation that happens on the fruit’s surface. What happen is that oxygen in the air reacts with phenolic compounds in the fruit to form substance called quinones with the help of some fruit enzymes. Quinones later react with amino acids in the fruit causing loss of nutrients and discoloration. The same reaction happens in the fruit juices. Juices however spoil faster than whole fruits as there is much larger surface exposed to the air hence a big surface area for reaction. Therefore, to ensure you get the most out of your fruit juices, it’s advisable to have them within 20 minutes to 48 hours after preparation. This time frame is however not absolute as its further affected by the method used to extract the juice. In the centrifuge method the juice is extracted by a machine rotating at a high speed (e.g. a blender) while in mastication the extraction is through cold-pressing. The centrifuge method of juice extraction has a higher rate of spoilage than the mastication one. This is because the rotation introduces more oxygen in the process causing it to react well with the juice. In addition to this, there’s generation of heat which further degrades the quality of the juice. Juices extracted this are thus ideally supposed to be drunk within 20 minutes because the rate of spoilage is quite high. In the mastication process, there is less reaction with oxygen as compared to the centrifuge method and heat generation is minimal or not present. Juice extracted this way can for up to 48 hours. To be on the safe side however, drink the juice immediately after preparation when the enzymes and vitamins are still active or refrigerate after preparation for at most 4 days. Dedicated training is something to be admired. Many athletes strive for the ability to get up and get out every single day whether it’s for a specific race or event or even, simply driven by a goal. Often that can mean adhering to a training plan based on both repetition and incrementally increased difficulty – monotony and overuse be damned. 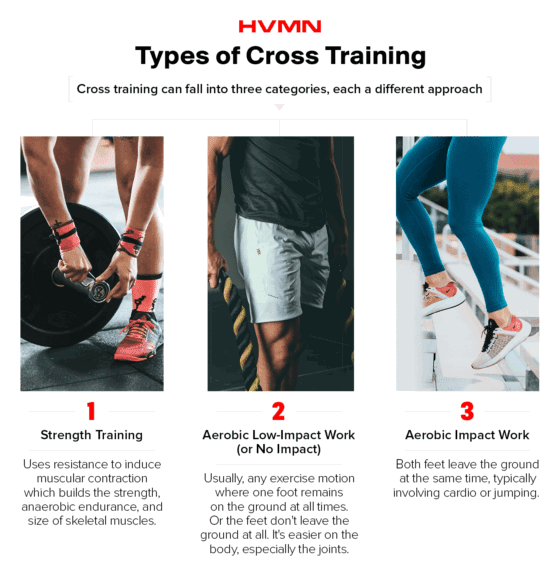 Enter cross-training, an exercise program usually employed outside of these intense training blocks to add some variance (physically and mentally) to workouts. It keeps the body guessing, and has many athletes reap the benefits for their main sport: decreased injury potential, and added strength to the most-used muscles. Simply put, cross training is training in another discipline in improving your main sport. The options are almost limitless – runners can strength train, swimmers can paddle board, cyclists can do yoga. The goal is to supplement your main sport with training that’s beneficial for certain muscles, movements, or even, your brain and mood. For most athletes, the inclusion of cross training into a workout plan is triggered by an injury sidelining them from regular training. I was no different – hours of basketball and running led to knee pain (from patellar tendonitis, known as “runner’s knee” or “jumper’s knee”). But I was stubborn. When I should have stopped the joint-pounding activities, I continued to beat them like a drum. It got to a point where the pain wasn’t worth the workout, but I couldn’t give up working out all together. So I started swimming and incorporating yoga into my routine, which delivered positive and painless results. 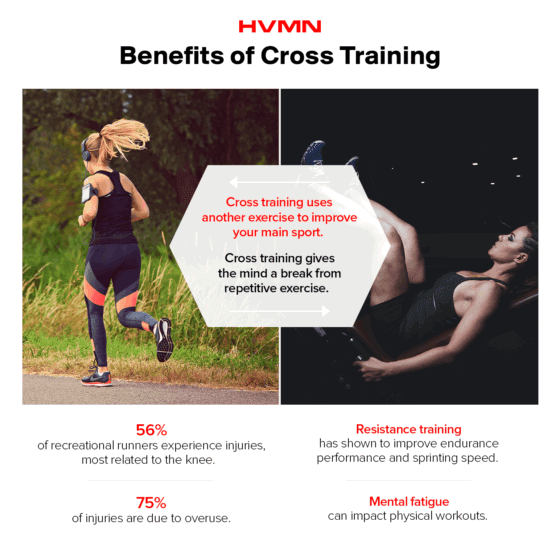 Since a majority of injuries happen due to time dedicated to a single sport, cross training can help prevent injuries for the simple fact that it forces athletes to spend less time training singularly. Cross training doesn’t just maintain activity by reducing the risk for injury – it also can increase performance. A study of 27 male runners were assigned one of three different resistance training regimens (in addition to their normal endurance training): heavy resistance, explosive resistance or muscle endurance training. The benefits of cross training aren’t just physical; there’s also a potential mental benefit of switching it up. Mental fatigue can impact physical workouts – you may be less likely to workout knowing that you’re facing the exact same exercise every day. Especially if an athlete is in-season or training for a specific event, cross-training can provide an exciting challenge. It’s easy to be training heads-down; cross-training can help you see the forest between the trees. Probably the reason many athletes experiment with cross-training: take stress off those weary joints and reduce injury risk. Low-impact activities or no-impact workouts can be done two or three times a week. It’s easily implemented, as it can replace an active recovery day or even a harder workout day depending on the exercise; so for those who think they’re losing gains because of cross-training, you may actually find yourself enjoying the cross training more than your main exercise. Cycling, swimming, and rowing are some of the most popular low-impact workouts. For flexibility and core exercises, yoga and pilates are go-tos. And you may even be able to work out longer and more frequently using these types of workouts due to the lack of stress they cause the body (swimmers can work out every day, and they’re hitting all the major muscle groups). For example, if you planned on running 45 minutes, you could easily spend 70 minutes cycling. If you’re training, the amount of aerobic impact work will likely be higher (and maybe your only focus during that training block). But in the off-season, or times when you’d like to give your body a break, aerobic impact work should be done once or twice a week. As a general rule, cross-training is meant to limit the impact on the body. Muscle protein synthesis can increase by as much as 50% in the hours after a workout, helping encourage muscle growth.4 Concurrently, muscle fibers are rebuilt. These processes are a normal part of the exercise, and recovery allows the muscles to become stronger. Fluid restoration is also key, as it helps deliver nutrients to organs and muscles through the bloodstream. And acids (via that hydrogen proton associated with lactate) accumulate during workouts – so recovery provides time for the body to restore intramuscular pH and blood flow for oxygen delivery. Even though cross training is meant to give the body a break from regular training, it’s still is a source of stress and requires recovery time (or you might burnout). For most athletes, it’s difficult to slow down. Many of us are goal-oriented, hardworking and ultimately – a bit stubborn. Budgeting recovery time is essential, as is providing your body with the necessary fuel to recover properly. Doing the same exercise can be mentally exhausting, leading to mental fatigue that wears down on your desire to even do the workout. Research has shown that the mind is usually a good gauge of the body,7 with a mental strain reported by a questionnaire being closely related to stress signals in the hormones of the body. By switching it up with cross-training, and also ensuring rest days, the mind will get a chance to recharge too. You can begin by folding in some additional exercises to your existing workouts. Runners may try hills or cyclists may try 30-second sprints – this isn’t cross-training exactly, it’s just extra training. The benefits of cross training come with learning something new and focusing on different areas of the body that regular training can neglect. 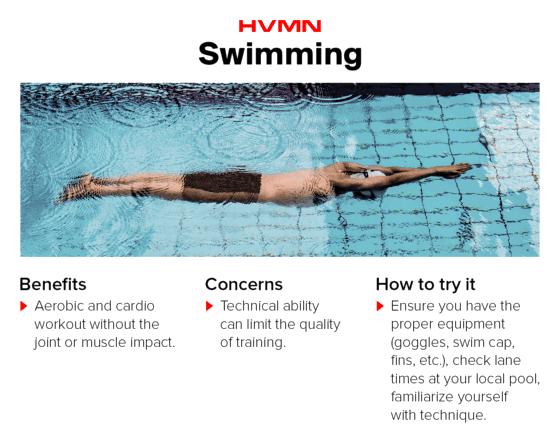 Swimming works the whole body; it increases heart rate without the joint-pounding stress of running, it builds endurance and can also build and tone muscle. An average person can burn almost 450 calories when swimming at a low or moderate pace for one hour. At an increased pace, that could go north of 700 calories. For comparison, running for one hour at a leisurely pace burns about 400 calories. Similar to swimming, cycling burns calories at an impressive clip, anywhere from 400 - 1,000 per hour depending on the intensity of the ride. And since cycling is also a resistance exercise, it’s not just burning fat – it also builds muscle. 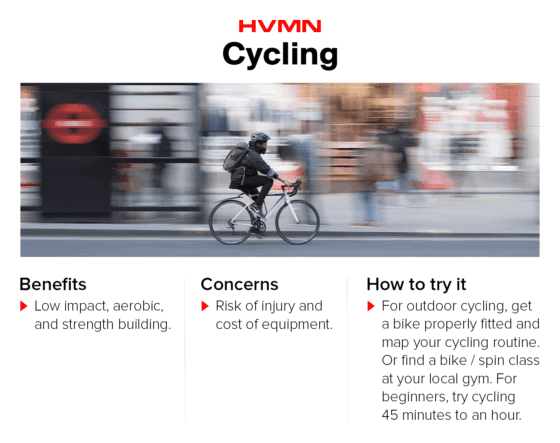 Whether on the road, the track, or in the gym on a stationary bike, the benefits of cycling as a cross-training mechanism stem from the fact it’s a low impact, muscle building, aerobic workout. It can help athletes train if they have experienced an injury. 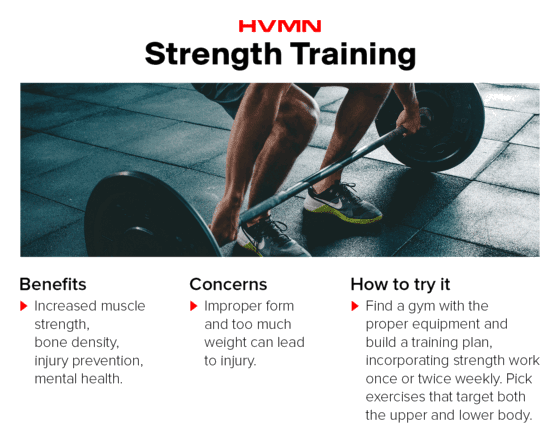 Many endurance athletes don’t consider strength training as part of their workout routine, but it can help prevent injury while improving strength for your main sport. For runners, maybe that’s improved core strength for economy. For cyclists, maybe the outcome is a higher power output. Regardless of your sport, strength training is imperative to improving endurance for runners15 and cyclists. A meta-analysis of periodized training – varying your strength training workouts – has shown results for greater changes in strength, motor performance and lean body mass.20 So don’t get stuck doing the same routine over and over again. A good way to push yourself is to incorporate overload training into some of that strength work. Yoga isn’t an aerobic workout, but it stretches muscles, builds strength and has been shown to improve mood. 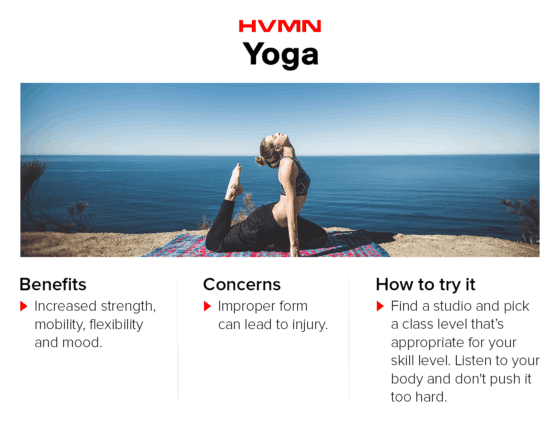 Because it’s low-impact, yoga can be done every day. Typically gyms or studios have beginner classes, and they will typically last between 60 and 90 minutes. Athletes can use yoga as recovery days, so between one and three sessions per week would be perfect. Hiking, for example, is a great way to build strength and get outside during a recovery day. Same goes with exercises like kayaking or stand-up paddle boarding28 – these can help build upper body strength while encouraging an athlete to get out of their comfort zone (literally, and figuratively). We wouldn’t recommend team sports because there’s a risk of injury. 3. Yamamoto, Linda M; Lopez, Rebecca M; Klau, Jennifer F; Casa, Douglas J; Kraemer, William J; Maresh, Carl M. The Effects of Resistance Training on Endurance Distance Running Performance Among Highly Trained Runners: A Systematic Review. Journal of Strength and Conditioning Research: November 2008 - Volume 22 - Issue 6 - p 2036-2044 doi: 10.1519/JSC.0b013e318185f2f0. 10. Cox KL, Burke V, Beilin LJ, Puddey IB. A comparison of the effects of swimming and walking on body weight, fat distribution, lipids, glucose, and insulin in older women--the Sedentary Women Exercise Adherence Trial 2. Metab Clin Exp. 2010;59(11):1562-73. 11. Broman G, Quintana M, Engardt M, Gullstrand L, Jansson E, Kaijser L. Older women's cardiovascular responses to deep-water running. J Aging Phys Act. 2006;14(1):29-40. 22. Tiedemann A, O'rourke S, Sesto R, Sherrington C. A 12-week Iyengar yoga program improved balance and mobility in older community-dwelling people: a pilot randomized controlled trial. J Gerontol A Biol Sci Med Sci. 2013;68(9):1068-75. Measuring one's ketone levels is an excellent biomarker for tracking the effectiveness of fasting, ketogenic dieting, and exogenous ketones. But there’s more than one way to test for ketosis. Understanding blood ketone levels offers insight into where you might feel best, or help optimize diet to achieve personal goals. 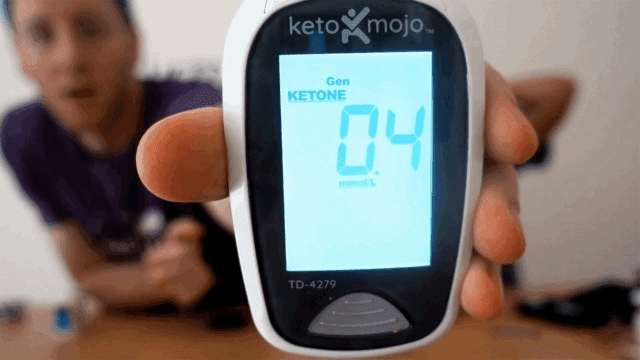 Many people monitor blood ketone levels while on the keto diet or taking exogenous ketones like HVMN Ketone to verify that they’re actually in ketosis. Setting a baseline while on the keto diet is helpful, especially if you’re using the keto diet for weight loss and other health benefits like controlling metabolic syndrome. 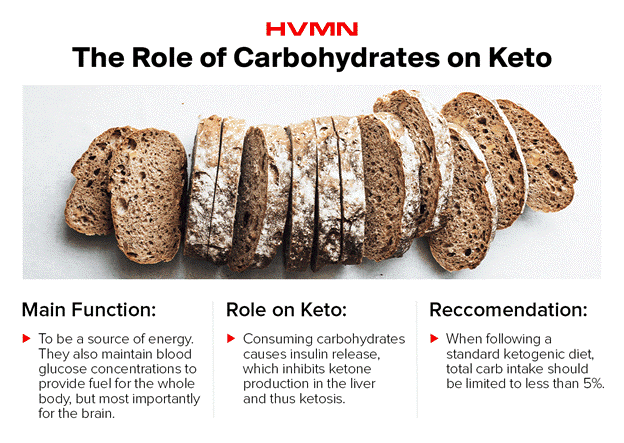 For those on the low-carb, high-fat keto diet trying to lose weight, moderate ketone levels could be an indicator measurement of your dietary needs to reach those weight loss goals. When on the keto diet, fat stores are broken down and fatty acid concentrations increase in the bloodstream. Those fatty acids are turned into ketones in the liver. When ketone levels exceed 0.5mM, that’s considered to be a state of "ketosis". 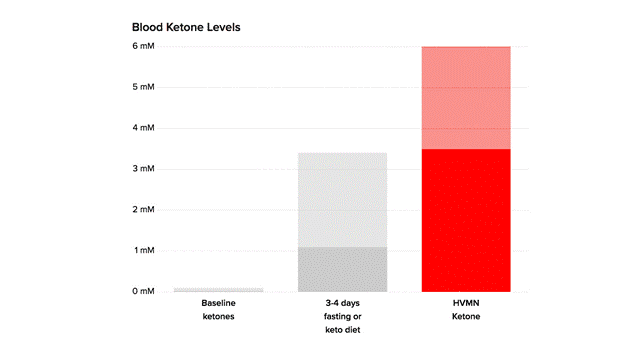 Nutritional ketosis is defined as blood ketone levels ranging from 0.5 - 3.0mM by pioneering ketone scientists Jeff Volek and Stephen Phinney in "The Art and Science of Low-Carbohydrate Living". When testing blood using a BHB/glucose meter, you’re getting the most accurate measurement available. The meters measure glucose or ketone levels depending on which test strips are inserted. 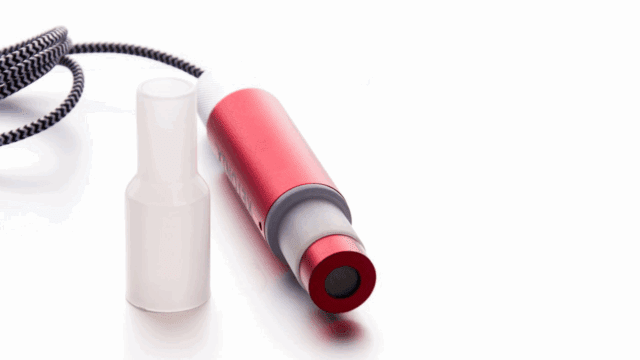 Those with diabetes commonly use the same procedure and the same blood meters to measure their blood glucose levels. It's critical for people with diabetes to control blood sugar levels and also to avoid dangerously high levels ( > 20mM) of ketones, known as ketoacidosis. Urine testing was designed to measure acetoacetate – one of three ketone bodies. But it doesn’t account for BHB, so urine testing may not be the most accurate measure of ketosis. Since urine is a waste product, what’s displayed on the ketone urine strips is what the body is excreting. By nature, that may not be the best indication of how well the body is utilizing ketones as fuel. As you become more keto-adapted, you’ll excrete fewer ketone bodies through urine. 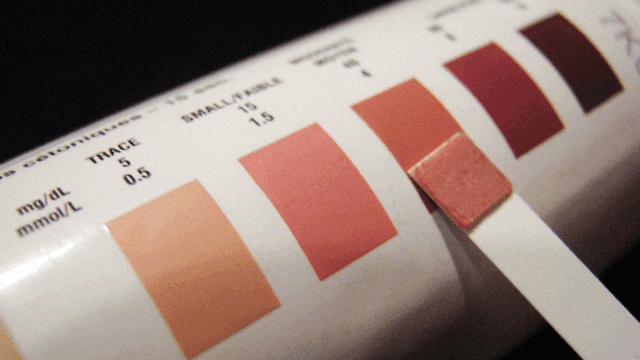 Hydration status can also affect these ketone readings, and leads to inconsistent results as relative hydration level can dilute the concentration of ketones in urine. In general, we recommend testing ketone levels if you’re trying to achieve nutritional ketosis or using exogenous ketones like HVMN Ketone. 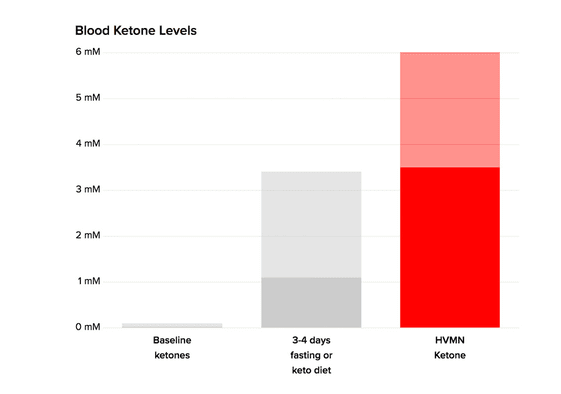 Blood ketone levels after using HVMN Ketone can reach 6mM making it one of the most advanced ketone products on the market. 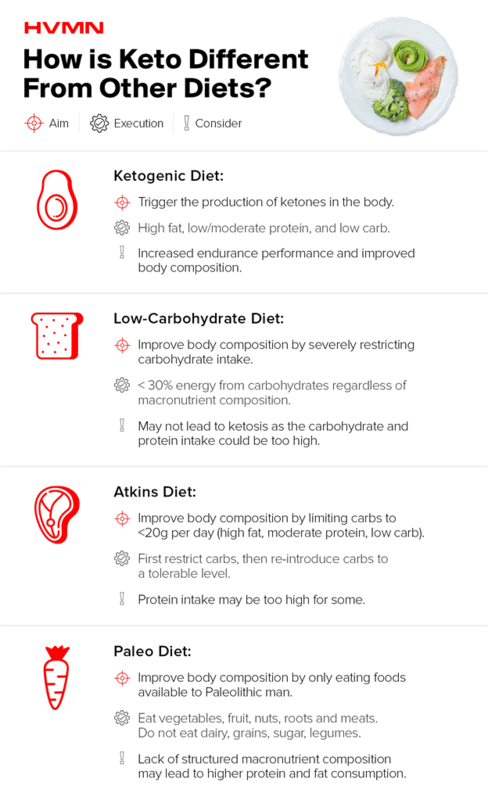 Fat burning mode via the ketogenic diet is tough to maintain, so it’s helpful to monitor ketone levels to make sure your efforts are worthwhile. While ketone readings don’t paint the whole picture of ketosis, they’re a large piece of the puzzle. You’ll have more transparency into what’s happening inside the body, developing an understanding of how fast and the level of ketosis you’re able to achieve. 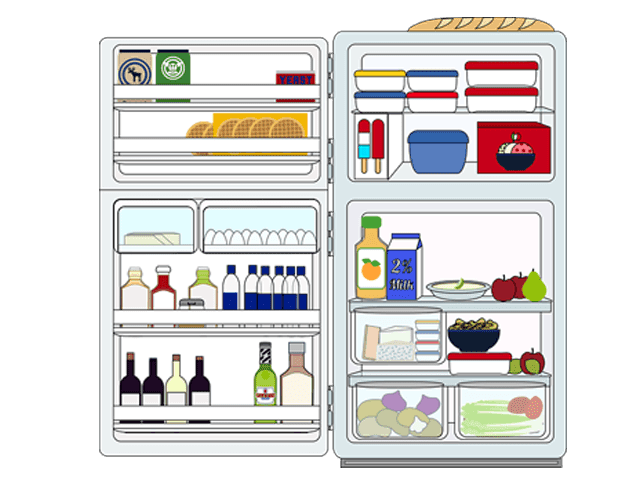 How Long Should Cooked Food be Refrigerated? Food spoils occurs fastest when food is cooked. This is because the nutrients are exposed to more of the spoilage bacteria in this state. 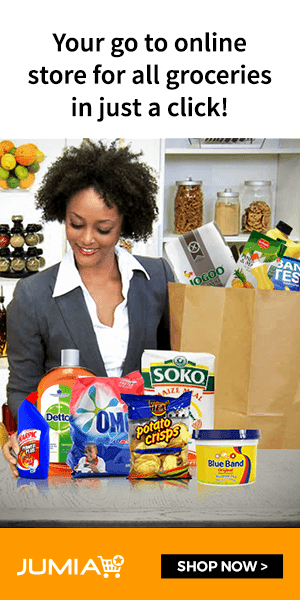 The rate of food spoilage is however not the same in all foods and is instead affected by different factors such as the type of food, environment, mode of cooking and preparation and duration since preparation. To minimize the rate of spoilage, we often rely on various storage methods depending on the duration we intend to preserve the food. While not a storage method, cooking food amounts that will be finished at a specified meal time goes a long way in preventing spoilage and the wastage that comes with it. On the other hand, we often have to rely on the refrigerator for food that has to be stored for a couple of days or weeks. However, we often forget that food in the fridge is not entirely safe from spoilage and thus we end up storing it for longer than it should. The refrigerator provides a low temperature environment below the room temperature. This however does not kill the food spoilage bacteria but merely slows the rate at which they grow. The colder it is the better at curbing this growth explaining why the freezer preserves the food for longer than the lower compartment. This lengthened duration may however come at the price of affecting the quality of the food. Food is likely to go bad if its stored in the fridge for more than four days. Some shorten this down to two days in the case of leftover foods. The problem however is that many of us are not able to tell whether the food has spoiled. The assumption is that, if it looks good and doesn't smell, then it’s safe to be consumed. This explains why sometimes we observe the leftover food is spoiled only after warming or putting the food in a room temperature for a short while. Therefore, consider disposing leftovers if they have been refrigerated for longer than four days. Fresh foods that haven't been cooked can stay for longer. Disposing seems like too drastic a measure, however it’s necessary if one is to avoid the potential food poisoning or food intoxication. The difference between these two is that, food poisoning occurs when we eat food with the bacteria while intoxications occurs when the food has toxins released by the bacteria. Their effects however vary across individuals and will ultimately depend on factors such as one's immunity, age and the bacterial load (extent of contaminated food consumed). You’ve probably heard of the keto diet, a low-carbohydrate, high-fat diet people are adopting for reasons like performance and weight loss. “Keto” comes from the word “ketogenic.” This is a nuanced term meaning that the body is producing ketones from fat.1 When blood ketone levels exceed 0.5mM, the body has achieved "ketosis." 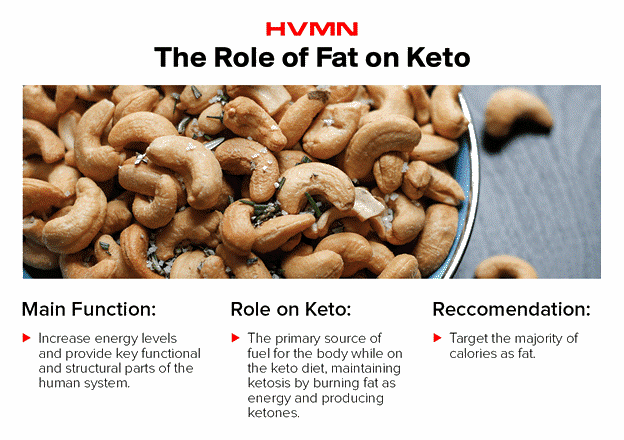 So ketosis can be achieved either through diet or fasting (meaning the body is producing its own ketones to be ketogenic), or also by consuming products that raise blood ketone levels (like HVMN Ketone or ketone salts or MCT oils). Limiting carb intake and protein intake encourages the body to burn fat and thus produce ketones. Importantly, restricting proteins as well as carbohydrates limits the amount of substrate available for gluconeogenesis. This is the process of making glucose from non-glucose molecules such as lactate, glycerol, or protein. Now you have a grasp of what makes the ketogenic diet unique but where did it all start? Early advocates of fasting were obviously unaware of ketosis as a crucial factor in the anticonvulsant effect of fasting. In the early 1900s, physicians at the Mayo Clinic observed a link between a low-carb diet and fasting. They discovered that severely restricting dietary carbohydrates and increasing fat intake could decrease seizures in the same way as fasting.5 It was not until the mid-1900s, when scientists could measure ketones, that we understood fasting led to the presence of ketones in the body. Epilepsy was not the only disease historically treated with a low-carbohydrate, high-fat diet. Low-carbohydrate diets were also advocated for patients with diabetes and obesity. Before the discovery of insulin in 1921, diabetes was managed through carbohydrate restriction. In 1953 Ancel Keys, an American biochemist published an epidemiological study that introduced the “diet-heart” hypothesis. The study claimed dietary fat was a key risk factor in developing heart disease. 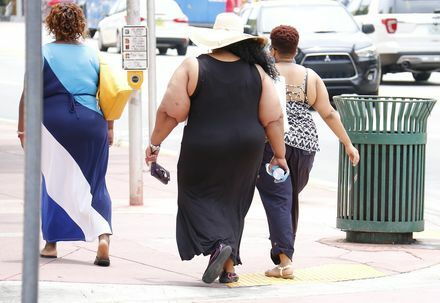 Obesity rose following the adoption of the USDA guidelines. Some investigators hypothesized that increased dietary carbohydrates were responsible for the developing health crisis. John Yudkin, a British physiologist and nutritionist, described this phenomenon in his book “Pure, White and Deadly”10 – the widespread fear of dietary fats caused scientists and nutritionists to overlook the role of sugar and starch. ‘Low-fat’ dieting was widespread in the late 1900s. During this time, Dr. Robert Atkins became an infamous spokesperson for the keto diet. Dr. Atkins brought his version of the ketogenic diet to the masses in his 1972 book "Dr. Atkins' Diet Revolution." In his 40 years of practice, he treated an estimated 60,000 patients for obesity and related conditions. After Atkins’ death in 2003, others started to promote the ketogenic diet for health. The Atkins Foundation recently funded a group of scientists to study the effects of the Atkins diet formally. This group of scientists includes Jeff Volek, Stephen Phinney, and Dr. Eric Westman. This outcome may be due to the decrease in carbohydrate and concomitant changes in the hormonal milieu, or due to effects of ketone bodies on substrate metabolism. These influencers helped expose corruption in the political decisions that resulted in the last decades of vilification of dietary fat. Evidence illustrating the role of high dietary carbohydrate intake in the development of obesity and diabetes has started to grow. The fear of fat has continued to reverse. Over the last few years, the ketogenic diet has grown in popularity. Popular culture is starting to recognize and adopt the keto diet, and online searches have grown. More and more doctors now encourage and prescribe the ketogenic diet to treat metabolic disorders and obesity. Large online communities bring thousands of people together to discuss research, share keto diet before and after photos, and encourage each other. The ketogenic diet can be used to help with weight loss and also to treat some diseases. Recently, the number of positive keto diet reviews has increased. The rising popularity of the diet has led to a demand for further randomized control trials to study its long-term efficacy. A key reason why the ketogenic diet helps weight loss is that it decreases hunger. This makes it easier to maintain a calorie deficit. It is important to stress that the overconsumption of calories will prevent weight loss, regardless of the macronutrient composition. Macronutrients are food groups that humans consume in large quantities. They provide the bulk of the energy to the body. The primary macronutrients are carbohydrates, fats, and proteins. The macronutrient composition of a diet can be described using the mass of each macronutrient, the ratio of macronutrients in the diet, or the percentage of each macronutrient in the diet. The variety of descriptions can make things a little confusing! When following a ketogenic diet, the carbohydrate intake should be very low. This contrasts with the modern western diet, where most dietary calories come from carbohydrates. Consuming carbohydrates causes insulin release which inhibits ketone production in the liver and thus ketosis. Therefore, monitoring and modulating your carbohydrate intake is an important part of following the ketogenic diet. Dietary fiber is carbohydrate-based material from plants that is not entirely broken down by the small intestine. Instead, it passes to the large intestine, and either undergoes fermentation (which supports the growth of beneficial bacteria) 16 or excretion. Depending on how ‘complex’ the source of fiber is, it has different assumed caloric values. One approach is to treat fiber as having the same amount of calories per gram as carbohydrates: 4 kCal/gram. However, as a proportion of fiber is not digested, other approaches use a lower value of 2 kCal/g. Digestion-resistant fiber does not contribute to calorie intake, as it is not broken down. The ‘glycemic index’ is a scale that ranges between 1 and 100, and it indicates how quickly food raises blood glucose after consumption. Pure glucose is the reference and is set at 100 (i.e. raises blood glucose quickly). Other foods have a comparatively lower value as they raise blood glucose more slowly. Example values for the glycemic index of food are white potato: ~80, white bread: ~75, apple: ~35, peanuts: ~15. A food can have a relatively high glycemic index (eg. carrot = 47) but because the total carbohydrate amount is low (carrot = 5g per serving), the glycemic load of one serving is very low. 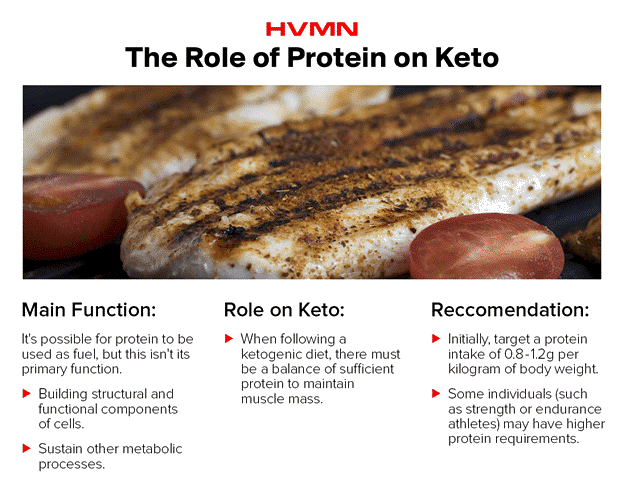 When following a ketogenic diet, there must be a balance of sufficient protein to maintain muscle mass. If dietary protein exceeds 20-25% of calories, gluconeogenesis from protein can stop the ketone production. But we often misuse the word “fat.” There’s a difference between fat in cells and different types of fat molecules. Adipocytes: individual cells that store fats/lipids. Lipids: the most general term for insoluble and polar biological fat molecules. The lipid class of molecules includes mono-, di- and triglycerols, cholesterols, and phospholipids. Fatty acids: a molecule composed of a chain of carbon atoms bonded to one another with a carboxylic acid at one end. Lipids are digested and travel in the blood as triglycerides and fatty acids before being used as a fuel, or stored by adipocytes in adipose tissue. Dietary lipids undergo many tightly regulated metabolic steps before storage in adipose tissue. Dietary fat does not equal stored body fat. Triglycerides are the most important source of energy in a ketogenic diet. They account for >70% of dietary calories. For those following a ketogenic diet, it’s helpful to understand how the lipid source in the diet is processed in the body. Saturated fats are relatively stable and tend to be solid at room temperature (i.e. lard, butter, coconut oil). Historical guidelines recommended limited the intake of dietary saturated fats because fat consumption was thought to be associated with heart disease and high blood pressure. They tend to be liquid at room temperature (i.e. vegetable-based fats such as olive oil). Unsaturated fats are thought of as healthier than saturated fats (also known as “healthy fats”). Increased consumption of mono and polyunsaturated fats have been linked to improved blood biomarkers (i.e. lower blood triglycerides).19 Eating enough unsaturated fats is important when following a ketogenic diet. Avoid high levels of trans-fat consumption by eating a diet based around whole foods. Essential fatty acids are important to include in the diet because the body cannot naturally produce them. This group includes polyunsaturated omega 3, omega 6, and omega 9 fatty acids. The number of carbons in the fatty acid chain also has an important effect on its metabolism. The carbon chain of fatty acids can be up to 28 carbons atoms long. If there are >13 carbons in the fatty acid, it is called a long-chain fatty acid, between 8-12 is a medium-chain fatty acid, and under 5 carbons is a short-chain fatty acid. If a large amount of these short and medium-chain fats are delivered to the liver at once, this can trigger the liver to convert them into ketones, even without dietary carbohydrate restriction. Use an app to track macronutrient intake. Apps such as MyFitnessPal are great to get an idea of the macronutrients in common foods. 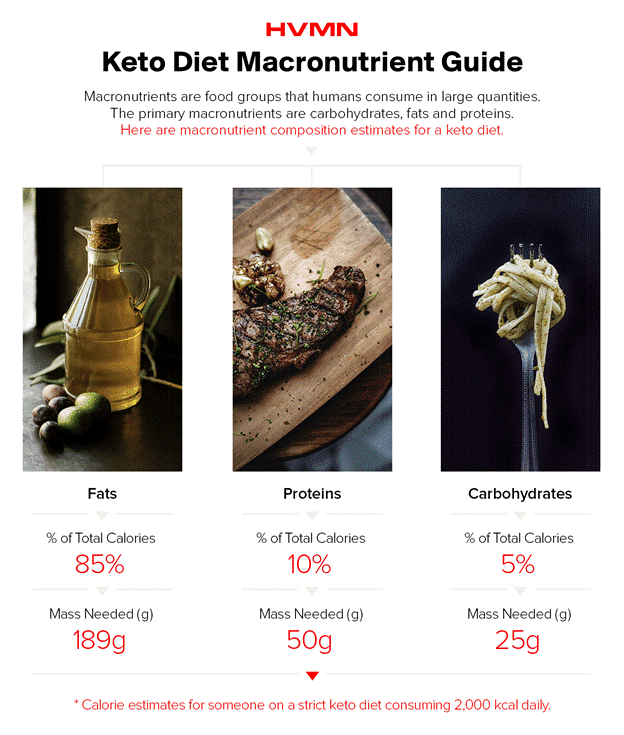 There is also a range of special online keto diet calculators. Search for a few keto recipes to adapt cooking methods. Due to the high-fat consumption required to get into ketosis, it may be beneficial to change daily staples or cooking methods. Keep an eye out for coconut oil, heavy cream, and lots of cheese. Make an approved list of keto foods and eliminate carbohydrate-rich foods. It will be easier to follow the diet by throwing out any foods to avoid. It’s recommended to check the labels for hidden added sugars. Consider starting the ketogenic diet within a short period (16-36 hours) of fasting (consuming zero calories). Fasting depletes carbohydrate stores and can accelerate ketone production. Click here to read more about fasting protocols. “Cheating,” and consuming high-carbohydrate food, quickly stops ketone production by the liver. It can then take a considerable amount of time for the body to get back into ketosis. Time taken to get back into ketosis will depend on many factors. These include the amount of carbohydrates consumed, how adapted the body is to produce ketones, activity level, etc. This is possible because ketones fuel athletes. Using exogenous ketones can raise blood ketones to a physiological level without the ketogenic diet or fasting. The level of ketosis reached depends on the exogenous ketone supplement used. Alcoholic ketoacidosis (AKA) is a result of chronic alcohol consumption usually accompanied by malnutrition. Diabetic ketoacidosis (DKA) occurs most frequently in patients with type 1 diabetes. DKA is the simultaneous occurrence of high blood ketones (> 20 mM), high blood glucose, and acidification of the blood.31 It develops when insulin is absent, or insulin signaling is no longer functional. As glucose levels are very high, the excess is excreted in the urine. This draws water and electrolytes out of the body, causing dangerous dehydration. Symptoms of DKA include nausea, vomiting, altered breathing, abdominal pain, and unconsciousness. The rapid onset and alarming nature of DKA is a reason why ketosis has a bad stigma in the medical community. 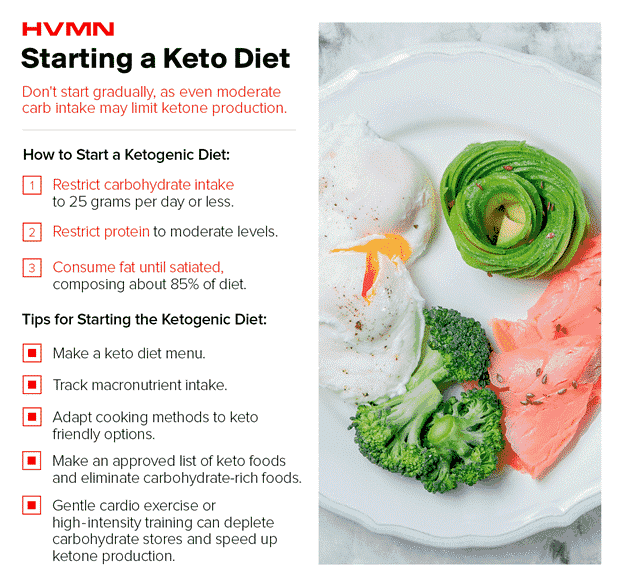 Exogenous ketone supplements, such as HVMN Ketone, and medium-chain triglycerides can be used to reduce symptoms of keto flu. They provide the brain with a source of energy without carbohydrate consumption. It can be initially tricky to adjust food intake to ensure adequate nutrition when following a ketogenic diet. Also, some people find the diet isn’t sustainable due to individual differences in metabolic state or lifestyle. While the ketogenic diet is not yet a first-line treatment recommended by doctors for any of these diseases, it’s a relatively easy and tolerable step that patients with these conditions can take to improve their health. Emerging research suggests there may be beneficial effects of ketosis for some people, and further studies are required to confirm how best to use the diet in these clinical settings. 3. Atkins, R.C., Mandell, F.G., and Monica, H. (1972). Dr. Atkins' diet revolution: The high calorie way to stay thin forever. (D. McKay Company). 8. Howard, B.V., Van Horn, L., Hsia, J., Manson, J.E., Stefanick, M.L., Wassertheil-Smoller, S., Kuller, L.H., LaCroix, A.Z., Langer, R.D., Lasser, N.L., et al. (2006). Low-fat dietary pattern and risk of cardiovascular disease: the Women's Health Initiative Randomized Controlled Dietary Modification Trial. JAMA 295, 655-666.